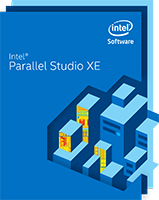 Direct Insight is an authorised reseller for Intel Software Tools, including Parallel Studio XE 2015, the latest toolsuite which simplifies the design, development, debug, and tuning of code that utilizes parallel processing to boost application performance. The new Parallel Studio XE can be used in conjunction with Visual Studio to maximise parallel productivity of C++ development on Windows. Please contact our team to receive a quotation.